Freya’s passion for all things wild began from a young age. Photography helped that interest grow by teaching her to look closer at the natural world. 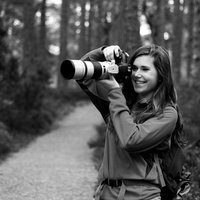 She uses photography as a tool to share her love of wildlife, particularly Scottish wildlife, in a world where people are increasingly disconnected from nature. Now a graduate in zoology from the University of St Andrews, she wishes to continue her hobby and hopefully make it a major part of her future career.